When you truly love someone, you are willing to do anything to make them happy. Even walking away from the best relationship in the world because you feel you’re just not the best man for the job. You know she has always wanted to see what the world had to offer beyond their small town. So, Evan Anderson accommodated and just walked away without a word. 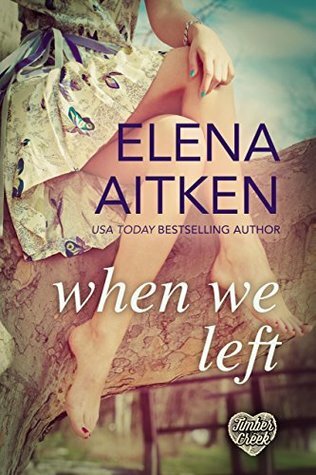 Cam Riley had arrived the next morning after graduation ready start her new life with the man she loved as long as she could remember. But Evan’s mom was the only one there to greet her and it was a chilly one at that. She told her Evan had left and he was never coming back but especially for her. She was devastated. What about their plans to be married and start a family? Puff he was gone up in smoke. She too figured why should she stay? She packed up and landed in Portland. Sleeps with Ryan and ends up pregnant. They decided to marry out of obligation rather than love. Making it work until it didn’t. Now almost sixteen years later some good and some not. After years of turning her back on her cheating husband’s affairs he comes out on his weather spot on the news telling the world he is having an affair with his co-anchor and she’s pregnant. He arrives home to say he wants a divorce. Leaving just enough money in the bank to make it through the month but not in their mansion but back in her hometown. Over Junky’s Auto Shop that has a one-bedroom apartment. So, they pack up and move home to find out the guy who left her back on graduation night, Evan, is now the Sheriff there. Nature has a twisted sense of humor. Now Cam is having to deal with serving drinks in a sleaze dive strippers bar to make ends meet since there are no jobs in town but that one. The thing that bothers her other than her daughter’s attitude is her ex’s lack of involvement with his Morgan. Choosing the bimbo and unborn child over her. Cam has returned home to an uncertain future for her and her beautiful teenage daughter who feels displaced and no longer loved by her father. Knowing her mom is the one who has always been there for her has chosen to take all her anger out on her. Because she knows her mom will never leave her. Causing pain to circle around them like an unwelcome blanket on a hot summer day. Upon her return, she must find a job, get Morgan in school, and avoid Evan at all cost. The last one she just know that now that she knows he knows she’s in town that will be a little hard. This is a book filled with misunderstandings, lies, trust issues, hurt feelings, teen angst, betrayal, lost love, love on the rocks, and old friendships renewed. The family broken publicly and then the denial of a child can only bring more pain. I had more respect for Cam working at the dive bar. Then I did at the beginning of the book when she was just hanging on being a trophy wife turning a blind eye to Ryan’s affairs. This way she wasn’t sitting back taking what she overlooked for years from her ex. This an intense read that does have some slow moments but still well worth the read.